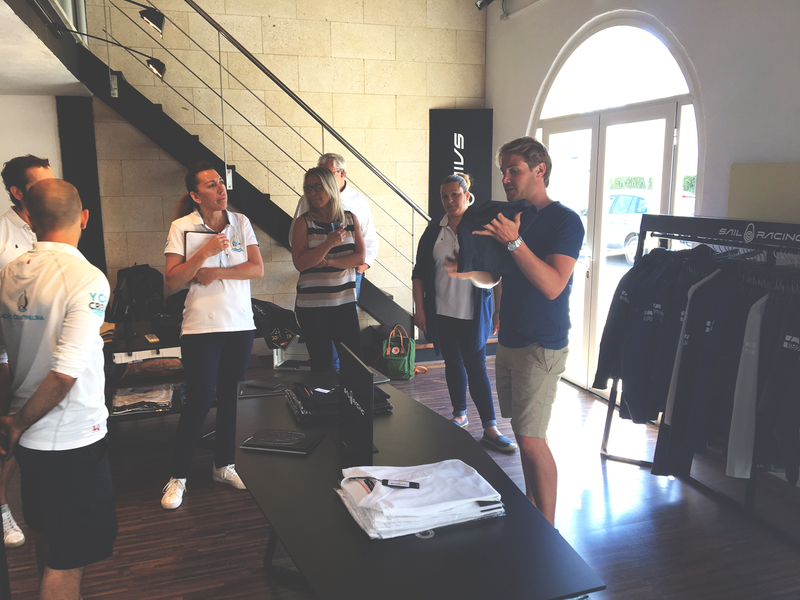 Yesterday we had a very lively and also very productive day with Joakim Berne, the International Sales Manager of Sail Racing. During the product presentation and training session we discovered first hand all the details and the different qualities of the different lines of the brand, which even has the specifications for professionals competing at high levels. We were able to check out the excellence of quality of some of their products; products in which nothing is left to chance and every detail is taken into consideration so that they can offer the greatest advantages and the maximum comfort. Sail Racing garments are now available in our Real Club Náutico de Palma shop and very soon we will have a great exhibition in our new nautic boutique.